"Avoid rookie mistakes. Instead, set up a meaningful and enduring company." 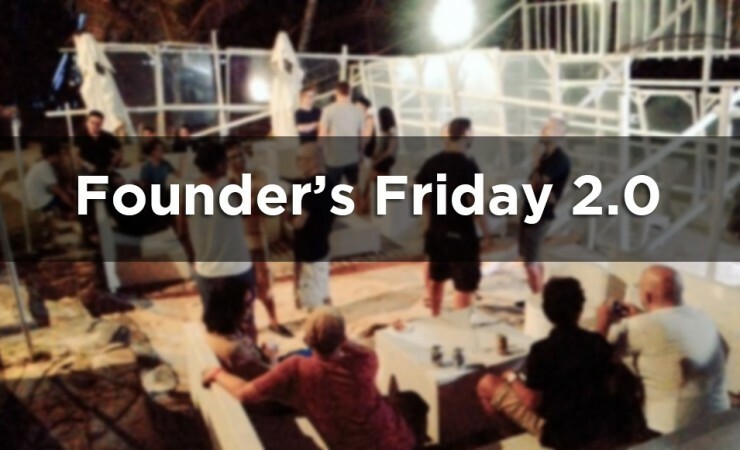 Founder’s Friday is a monthly gathering organized by TechTalks.ph since 2014. The goal is to gather founders, aspiring startup entrepreneurs, tech and business leaders, and angel investors to share knowledge and network with each other. This informal meetup is an ideal environment for founders to launch their business, and angel investors to find and fund them. It also facilitates networking that allows the people to talk, ask questions, and learn some insights from thought leaders in startup, tech, and business. Bigger venue means more attendees can join! We’ve set the next Founder’s Friday on May 6, 2016 at the Skypark of SM Seaside - Vis-Min’s largest mall. Aside from insights that you’ll learn from the speakers, we will also be having an open discussions in relation to Startup community and tech industry in general. TechTalks.ph is headquartered in Cebu City, Philippines with chapters in Bohol, Davao, Iloilo, Bacolod, Cagayan de Oro City, Metro Clark, Batangas, Dumaguete City and Manila. If you want to know more about tech topics, doing business in the tech world, or simply want to know more about this group and meet new people, COME JOIN US!